"Barclay Crenshaw, who is known by the stage name Claude VonStroke, is an American house and techno producer based in San Francisco. Make sure your ready for a night away from real the world full of fun and dancing, thats all owner of Dirtybird Records Claude VonStroke wants you to do! 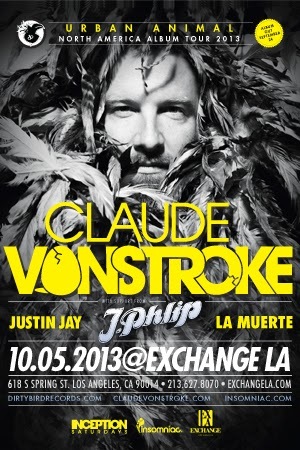 He brings his funky & unique dirty house to Exchange this October"